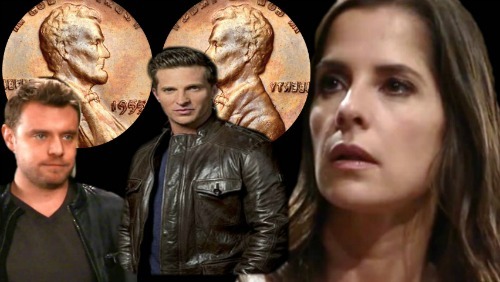 General Hospital (GH) spoilers tease that Patient Six (Steve Burton) is slowly making his way home. He’s already put a lot of work into this journey and that trend will continue. Patient Six will struggle on the last leg of his trip, but his efforts will pay off. He’ll finally arrive in Port Charles! GH spoilers hint that October 19 may be the big day. Burton’s character will feel a bit overwhelmed once he reenters familiar territory. He’ll probably feel a mixture of relief, excitement and fear. Patient Six will be glad he’s home at last, but he’ll undoubtedly worry about what’s ahead. The evidence is piling up and it all points to Patient Six being the true Jason Morgan. Of course, GH fans know Billy Miller portrays our current Jason. Miller and Burton can’t play the same guy, which is why the twin story is heating up. Franco (Roger Howarth) could hold the key to sorting this out. It seems likely that Miller’s Jason is actually Drew. However, there are going to be some doubts about that in PC. For starters, current Jason should have a hard time accepting the identity error. He grew into this life and now it’s about to be threatened. Sam (Kelly Monaco) could be even more skeptical when she hears Patient Six’s claims. This is General Hospital and trickery often abounds. Sam may think this is all some kind of hocus pocus that Helena (Constance Towers) cooked up. Her world will be turned upside down as she tries to learn the truth. Before we can get to all the questions, Patient Six will have to make his presence known. Will Burton’s Jason lurk in the shadows for a while or approach Sam right away? Regardless, you can bet that some surprises are in store. GH viewers will definitely be on the edge of their seats. Be sure to watch out for Steve Burton’s long-awaited return to Port Charles. Again, General Hospital spoilers say he may make his PC comeback on October 19. It’s the same day Jason was presumed dead in 2012! We’ll give you updates as other news comes in. Stay tuned to the ABC soap and don’t forget to check CDL often for the latest General Hospital spoilers, updates and news.